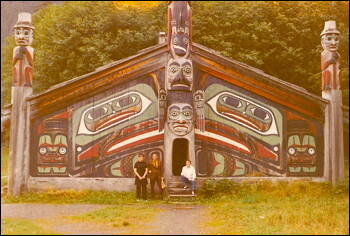 Here is Mom, Fredene Doty (left), at a Tlingit lodge in Ketchikan, Alaska. She is with her sister and her sister's husband, Grant and Betty Hutchins. My father Shirrel took the photo.